On 13th November, my former neighbor whom I have known for 20 odd years finally decided to get hitched! 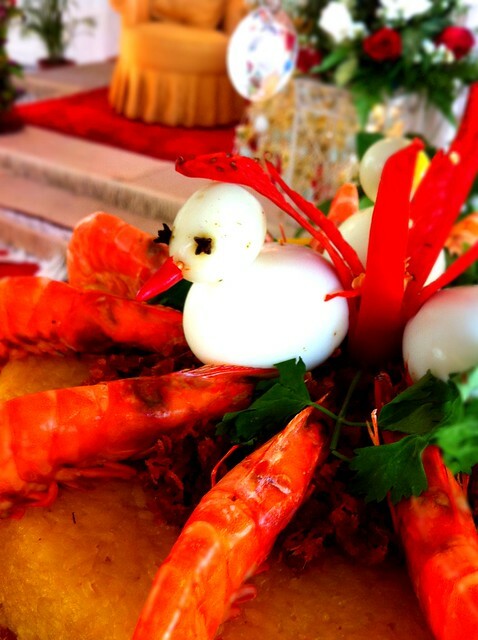 It was not just any other wedding, but a traditional, Singaporean style Malay wedding held at the void deck! My family and I were thrilled when we received the invitation as it was our very first Malay wedding! The human traffic along the corridor was drastically increased by at least 20 times two days prior to the big day contributed by hordes of relatives arriving in bus loadfuls from Malaysia. It was hard not to be infected by the joyous atmosphere as adults were busy chipping in their help with the wedding preparations while the kids were having a hell of a time running around and screaming their heads off! On the big day itself, we arrived at 1pm and it was all very informal. We got to find our own table and the natural choice for us was to choose one away from the loud blasting speakers. The deejay alternated between hosting and playing love songs. It was all so casual but we never expected that friends and relatives be invited to participate in karaoke sessions! 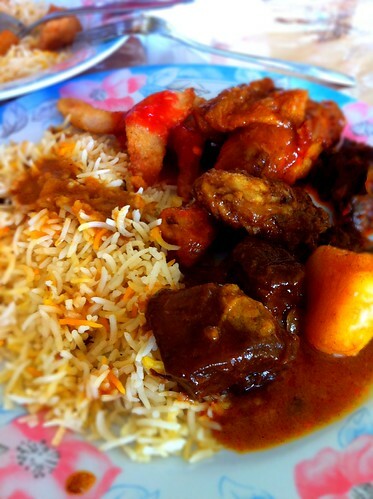 It was buffet style dining where there was a choice of either white rice or briyani followed by 5 to 6 choices of different types of curries: chicken curry, mutton curry, beef curry, vegetable curry and some unlabelled mystery curries. 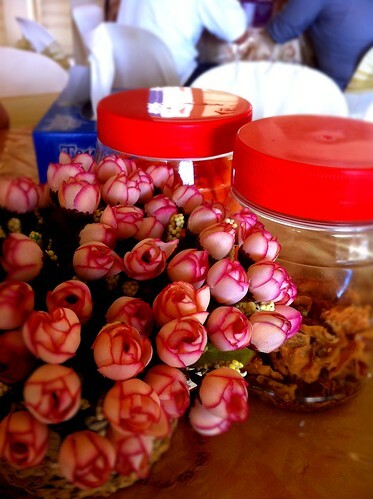 Last but not least, there was also a section dedicated to desserts; mainly Paranakan style. On each round table, there was also two containers of snacks and in addition, the children were delighted with endless supplies of chocolate biscuits distributed to them. With families arriving in droves to take over the tables cleared out by earlier families, there was constantly a hype of activities at the void deck. 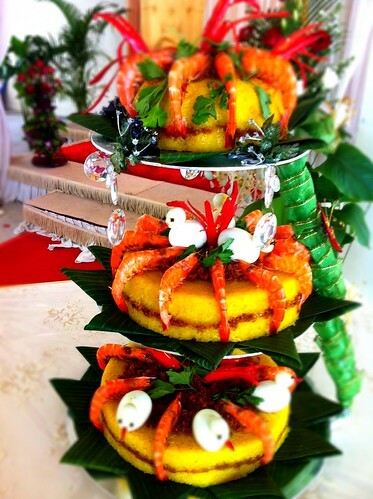 And while it is almost certain to spot a multi-tiered cake in most of the weddings held in Singapore, in this case, I was fascinated to see a three-tiered wedding cake made up of glutinous rice and interestingly decorated with 'animals' such as large prawns and ducks crafted from chicken and quail eggs!